A freedom of information investigation has revealed that 2.5 million vehicles failed their MOTs for illegal tyres last year – while police hit almost 9,000 drivers with fines for defective rubber. If you’re caught driving with less than 1.6mm of tread, you could face a penalty of up to £2,500 and three points on your licence – per tyre. 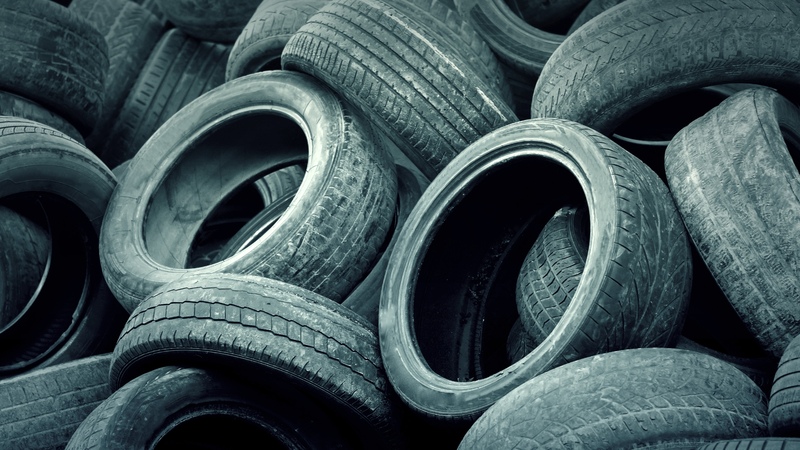 The Confused.com investigation found that 10,766 endorsements were handed out for defective tyres in 2016. Multiplying this by the maximum £2,500 penalty, motorists could be risking nearly £27 million in fines for not checking their tyres. 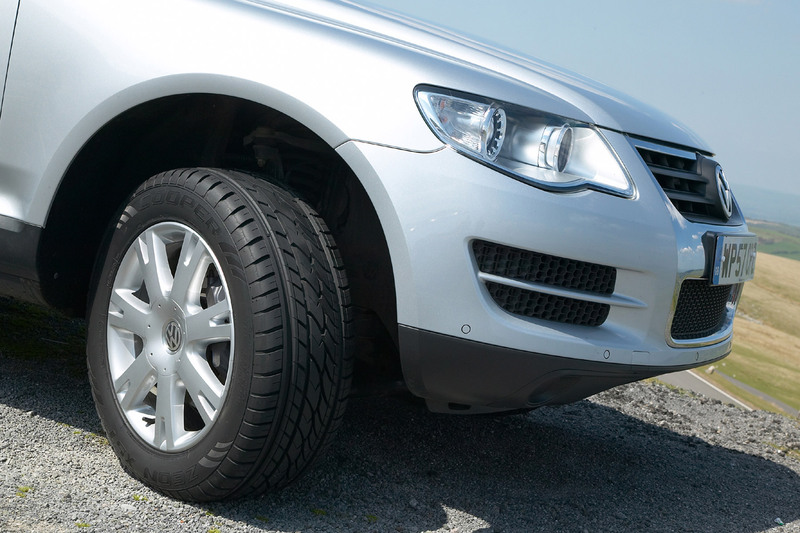 While driving with bald tyres can have a dangerous effect on a car’s handling and stopping distance, especially in the wet, the research also revealed that drivers often aren’t in a rush to get their tyres changed. Out of those who were found to have illegal tyres, more than a third (34%) did not get their tyres replaced straight away because they didn’t have the time, while almost a quarter (24%) said they couldn’t afford new tyres. 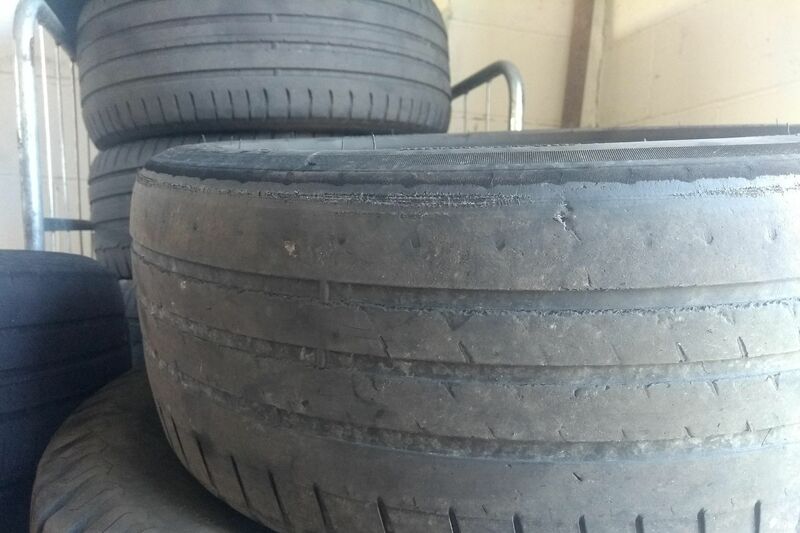 A further quarter (23%) admitted to driving with dangerous tyres because the garage could not fit them in sooner. Confused.com’s motoring editor, Amanda Stretton, said: “It’s pretty shocking to find out that 2.5 million drivers have failed their MOTs as a result of not checking their tyres regularly. The website has launched a new tyre tool that lets drivers compare the cost of tyres. Which component contributes most to car safety? Airbags? Side-impact bars? Electronic stability control? We spoke to a chassis engineer with more than 40 years of experience, and his answer was unequivocal: tyres. Think about it. Those four rings of rubber are the only thing between your car and the road surface. Every acceleration, braking and steering force passes through them. And the contact patch is smaller than you think – about the size of your computer keyboard across all four tyres. 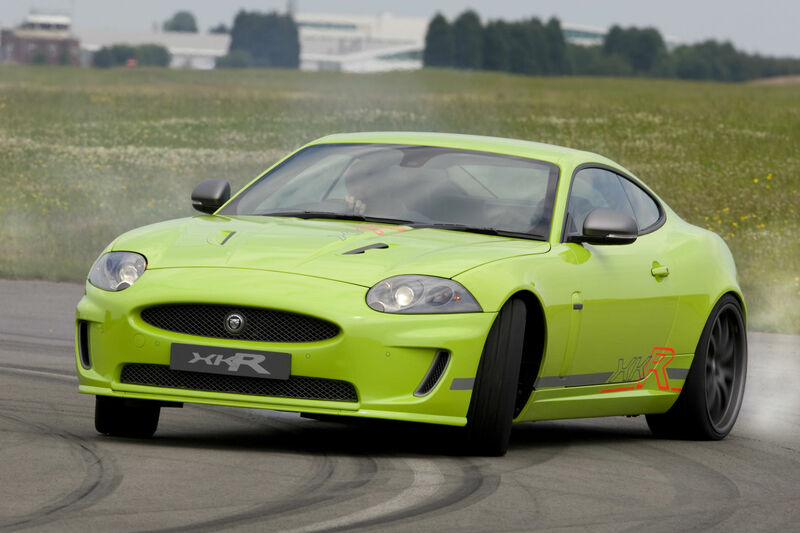 So, there’s a reason all racing drivers are obsessed with tyres – and they’re just as important for road driving, too. Read our 5-minute guide to to make sure you choose the right tyres and stay safe. 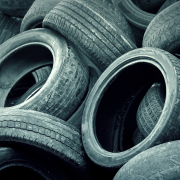 Are your car tyres safe? The law says you must replace a tyre once the tread-depth drops below 1.6mm across three quarters of its surface. 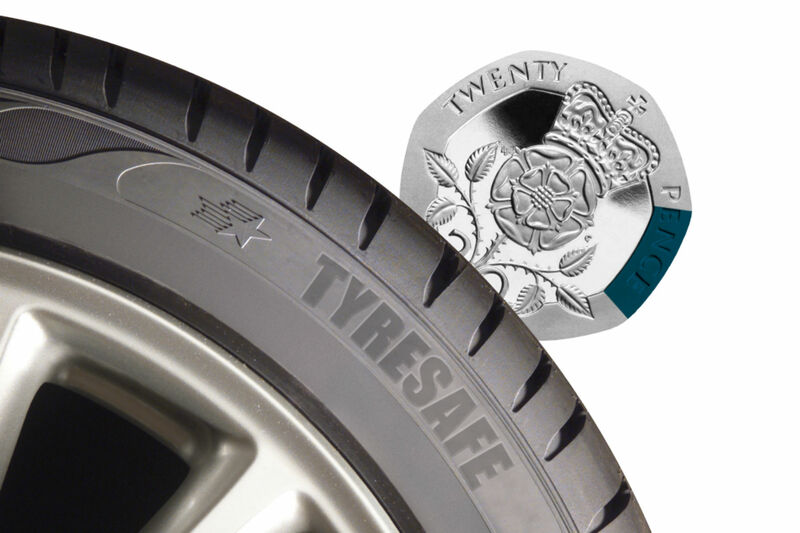 An easy test is to place a 20p piece in the groove of the tyre. If the outer band of the coin is hidden, your tyre is legal. However, bear in mind that a new tyre has a tread-depth of around 8mm, so grip will be reduced – particularly in the wet – well before it reaches the legal limit. Consumer group Which? recommends replacing your tyres when depth reaches 2-3mm. You should also check tyre pressures regularly. Over-inflated rubber could increase your risk of skidding or having a blowout, while too little pressure will increase fuel consumption and have a detrimental effect on handling. The correct tyre pressures for your car will be listed in the handbook. Alternatively, use the Tyre Pressure Checker tool on the TyreSafe website. Tyres come in a wide range of different sizes. Check your car handbook, or read the markings on the outer sidewall to see what size your replacement tyre should be. Regardless of the national speed limit being 70mph, you must fit tyres rated for the maximum speed of your car. Speed ratings are marked with letters and range from N (88mph) to ZR (over 149mph). You’ll find a full list of speed ratings on the TyreSafe website. What about the tyre energy label? Every tyre sold since 2012 comes with an energy label – much like you’ll find on fridges and other white goods. This allows you to compare tyre performance at a glance, with simple graphics showing how that product stacks up for fuel economy, wet-road grip and noise. This is based on the tyre’s rolling resistance – i.e. how much friction it generates with the road. Measurements are taken on a calibrated test rig; the lower the rolling resistance, the better the fuel economy. 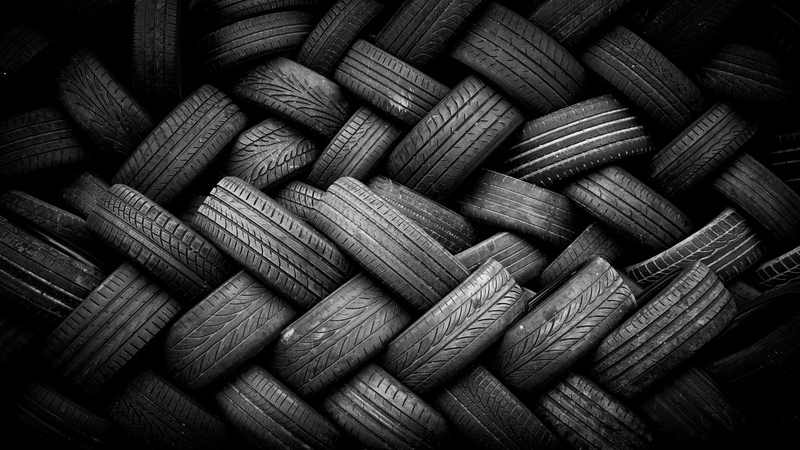 The most efficient tyres earn an ‘A’, while the least efficient are rated ‘G’. 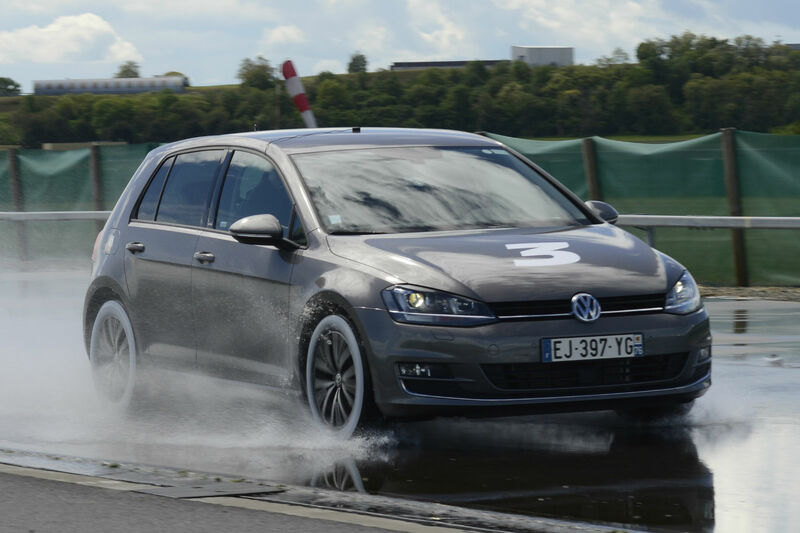 Good grip is most important when the roads are wet, so this rating is based on wet-braking performance in a straight line. Experts say an A-rated tyre can stop in 30% less distance than a G-rated one. That’s potentially the difference between a near-miss and a dangerous crash. Anyone who regularly drives the concrete section of the M25 will know just how noisy tyres can be. This final infographic puts the the tyre into one of three categories, based on the noise it emits in decibels – measured from outside the car – when cruising at a steady speed. One black bar means a quiet tyre, while three bars is noisier – albeit still within legal limits. So, you’ve checked the size and checked the label. Now think about the type of tyre you need to buy. Apart from standard ‘summer’ tyres, you might also think about run-flats, winter tyres or part-worn tyres. These are fitted as standard to some new cars, particularly BMWs. Their reinforced structure means you can carry on driving even with a puncture, although only for around 50 miles at speeds up to 50mph. 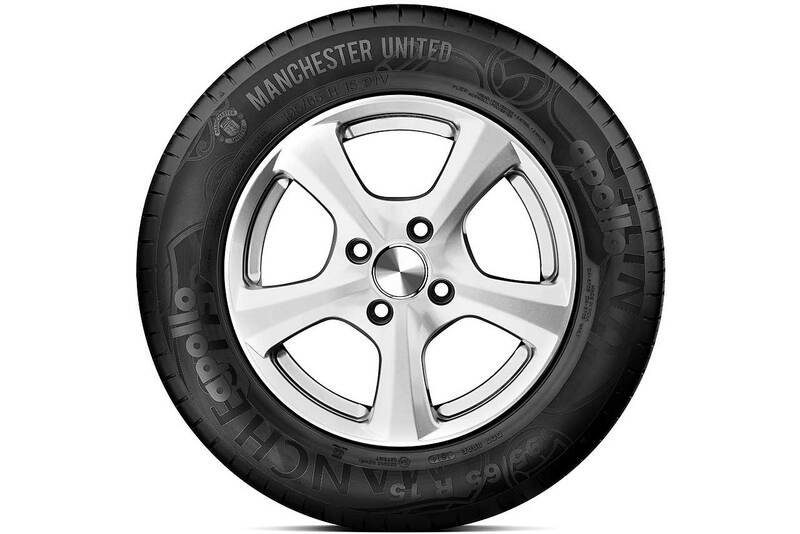 ‘RFT’ or ‘RunFL’ markings on the sidewall indicate your tyre is a run-flat. The downsides of run-flat tyres are cost and comfort; they are more expensive to buy and their stiffer sidewalls mean a firmer ride. 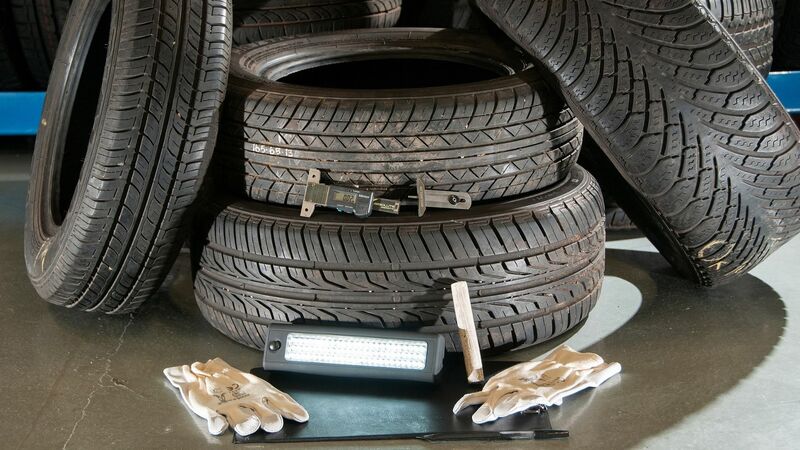 Also, Tyresafe advises that they should not be used on cars without a pressure-monitoring system, or you may be unaware the tyre has deflated. These can be recognised by a snowflake symbol on the sidewall. They offer much-improved grip on snow and ice – and indeed on dry roads if the temperature is below 7deg C.
Winter tyres are mandatory during the colder months in some European countries, and many people keep them on a second set of ‘winter wheels’ (often steel rims, to preserve their shiny alloys for summer). However, unless you live in a remote part of Wales or the Scottish Highlands, they’re not essential in the UK. 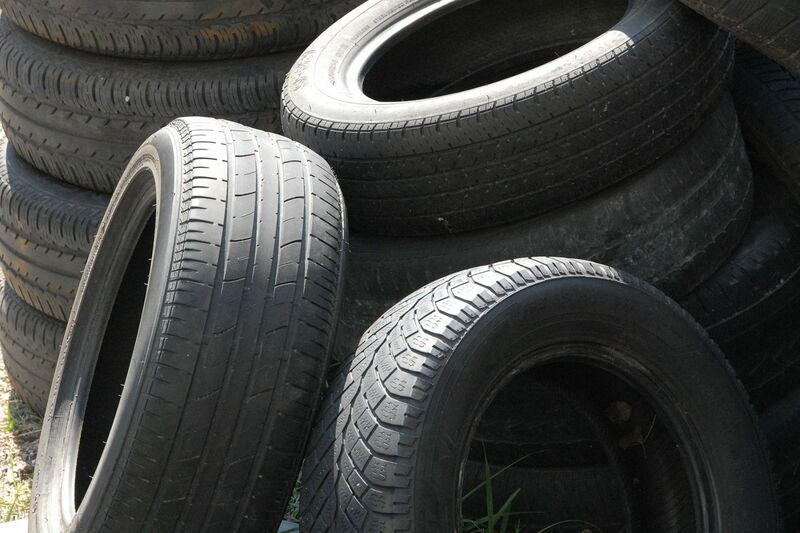 It isn’t illegal for garages to sell part-worn tyres, although they must be properly marked and in good condition. Even so, we’d suggest this money-saving measure is a false economy that could affect your safety. The first thing to say here is that you shouldn’t look to economise on tyres. They are arguably the most safety-critical part of your car, so buy the best you can – preferably the original equipment (OE) items fitted to your car when it was new. If OE tyres aren’t available, we recommend choosing one of the ‘premium’ brands: Bridgestone, Continental, Dunlop, Goodyear or Pirelli. These consistently come out near the top in tyre tests. If you need a tyre at short notice, the cheapest option will probably be an independent tyre fitter, rather than a franchised car dealer. Make a few phone calls to compare prices and ensure the fee you are quoted includes new valves, fitting and balancing. Remember, you can haggle. If you have more time, buying online will almost certainly prove cheaper – and you may be able to have the tyres fitted at your home or office. Again, it pays to shop around as there are plenty of retailers competing for your business. Popular websites include Asda Tyres, Black Circles, MyTyres and Tyre Shopper. 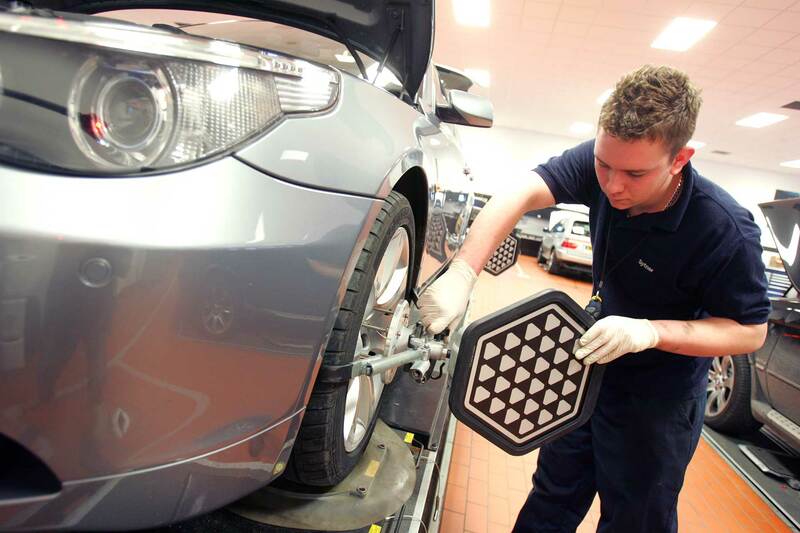 Less than half of motorists visiting a fast-fit centre are getting their new tyres fitted on the first visit, according to new research from e-commerce firm epyx. 60% of drivers had to make a second visit to get the right tyre – and it’s because there are more brands and sizes of tyre than ever before. The figures show that fast-fit centres are now only half as fast as they were 10 years ago. It’s not the fast-fit centres’ fault though, says the appropriately-named epyx head of business development David Goodyear: it’s simply a reflection of how huge the range of tyres fitted to today’s cars is. Not only are there more sizes than ever before, but many premium brands also have bespoke tyres developed especially for them: on cars such as Porsche, BMW and Jaguar, tyres carry a brand-specific identifier on the sidewall denoting the rubber is only for that car. Enter the franchised dealer, says Goodyear: not traditionally considered an outlet for new tyres, the fact they only have to carry tyres to fit their own range of cars can give them an advantage. Do you have experience of a fast-fit fitter being anything but? Have the bespoke tyres of your own car caused you headaches? Do share your experiences with us. A faulty Tyre Pressure Monitoring System (TPMS) now results in automatic MOT failure – even if your tyres are in good condition and correctly inflated. That’s the message from Tyresafe, the UK’s tyre safety association, which has produced a video to promote the benefits of TPMS. Some TPMS systems work differently to others, but all remotely monitor air pressure in the tyres. Millions of cars in the UK are already fitted with TPMS systems, which became mandatory on all new models last year. 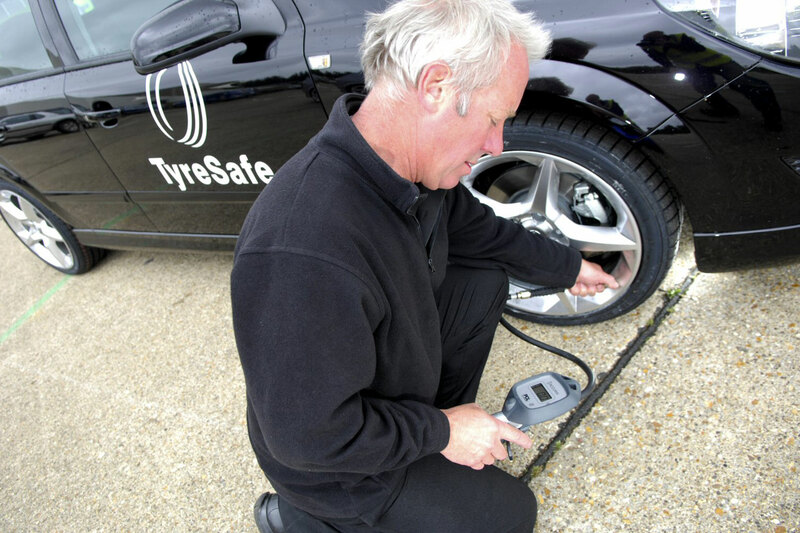 They work by monitoring air pressure in the tyres, warning the driver if they are under-inflated or punctured. TPMS systems are designed to last many years, but may need occasional servicing. The most likely causes of faults are a flat internal battery and corrosion on the sensors. Beyond a failed MOT, incorrect tyre pressures can have other consequences, including increased fuel consumption, reduced grip and unpredictable handling. For that reason Tyresafe recommends that drivers don’t rely solely on TPMS, but manually check their tyre pressures at least once a month – and before any long journey. I’ve written fairly extensively about the EU’s current tyre labelling system. 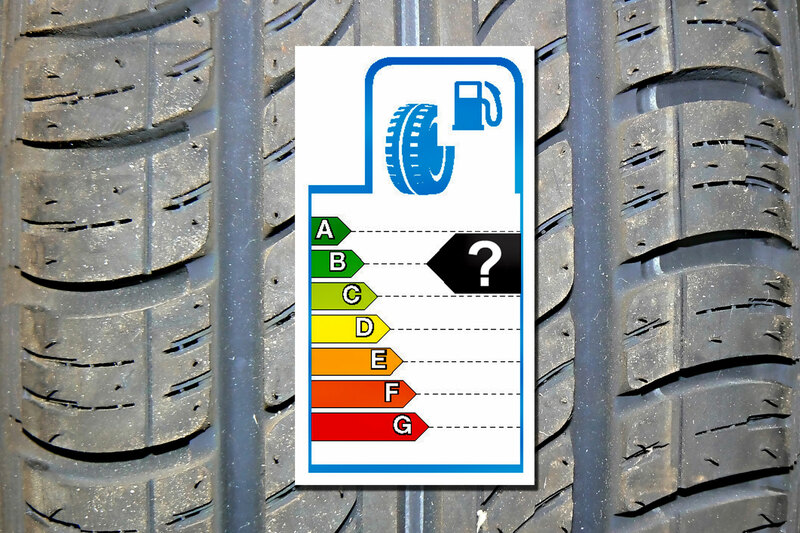 Before it was introduced I’d covered how every-day consumers can consult the compulsory label to be fitted to all new tyres, giving a fuel efficiency, wet grip and noise rating.